I would like to introduce our latest sponsor Beginning Montessori. 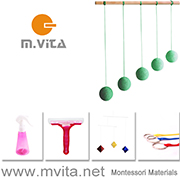 Beginning Montessori produces high quality Montessori materials for infants and toddlers. Otis was only nine weeks old when he started to use the Bell Rattle. At three months he was using the Ball Cylinder, Bell Cylinder and the Primary Colours Mobile. At four months he started using the Interlocking Discs. He was still using the Bell Cylinder at five months when Learning to Crawl. At eight months he was introduced to the Progressive Ring Stacker which you can see him using at 11 months and is still on our shelves at 17 months! I cannot wait until Otis is old enough to use their puzzles. A puzzle would make a perfect birthday or Christmas gift. I can't help but think how beautiful they would look on some low shelves in a child's room. 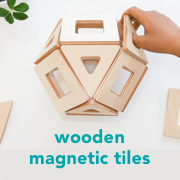 Do you have a Montessori baby or toddler to buy for? I have some great news! Beginning Montessori are offering one reader a gift voucher to the value of $50 CAD. This giveaway is for one $50 CAD gift voucher from Beginning Montessori. To enter simply leave a comment in the comments section of this post telling me your favourite item/s from Beginning Montessori. Comments close 10pm AEST (Australian Eastern Standard Time) Thursday 4 October 2012. The giveaway is open internationally but please only one entry per person. Thank you to everyone who entered comments have now closed. The Beginning Montessori gift voucher is heading the way of Kirstin!